Participating in a 401k plan through your employer is usually the easiest way to get started putting money away for the long term. Most employers who are looking for top-quality employees offer a 401k as a benefit, which helps them to retain talent. While not all companies offer matching contributions or have a delayed start for matching, everyone should be contributing the maximum amount they can a 401k. When considering accepting a job offer, take a look at the benefits package and especially consider the 401k and how the matching contribution works. If it's a choice between a company that matches dollar for dollar and company that doesn't consider that matching money additional income. It might be worth choosing that company for just that reason. Let's say you earn $40k a year, contribute 10% to your 401(k) plan, receive a 3% match from your employer, and earn a 6% average annualized rate of return. If you start at age 22, you would end up with over $1 million by age 65. But if you wait until age 30 to start saving, you end up with only about $617k. Getting that early start means over $300k extra in your nest egg, which could mean being able to retire earlier or live better in retirement. That additional $4000 may seem like a lot to give up out of your salary when you are starting out, but contributions to 401k plans are not included in the gross income that is taxed, so once again, investing for your future is as if you are getting free money. Reducing your taxable income can only help your overall income tax owed each year. The difference between starting at age 22 and age 30 is over 30% more money for retirement - and that's substantial. 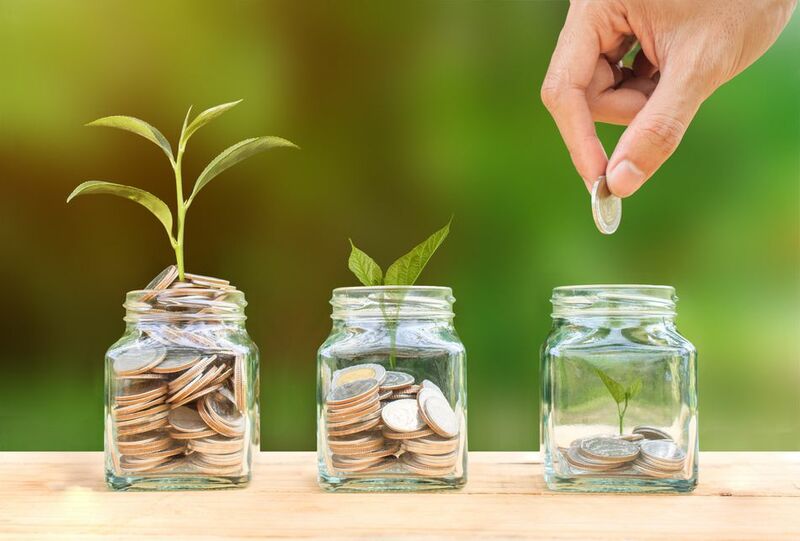 The benefit of beginning to save and invest when you are in your 20's and 30's is not only that you will have money for retirement, but you can take more risks and get a bigger return since your time for saving is long. When given options for how to distribute your 401k investment, look for an 80/20 split between stocks, which are much more volatile - and lucrative and bonds, which are stable but have a lower rate of return. Use caution when taking advantage of stock options to purchase your company's stock, if it is offered to you. While a discounted cost is a great opportunity, don't overload your 401K with any one stock, no matter how successful it is or how much you believe in the company. Owning a variety of stocks is the key to a strong portfolio. 44 million Americans are in the process of paying off student loans, so if you have a debt to pay off, you are not alone. Don't make the mistake of waiting to start contributing to a 401k plan until after your loans are completely paid off, though. Budget your expenses carefully, try not to spend too much on fancy coffee drinks or craft beer, and paying off loans while saving won't be nearly as difficult as you might think it will be. Saving for the future is just as important as paying off debts from the past. You invested in your education; now you need to invest in your retirement. Don't forget that extra $300,000 that you can save and earn in your 20's - you are going to need it!